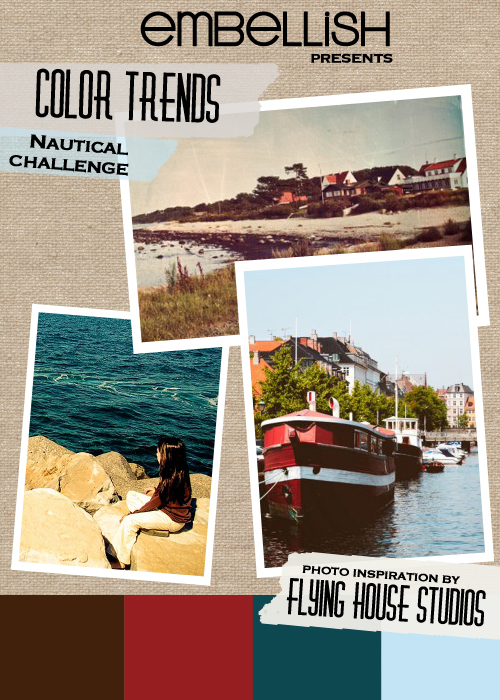 The motivation behind this card is the Embellish Nautical Color Trends Challenge. I'm originally from Hawaii and my grandfather was a fisherman, so I have a strong affinity to the ocean. 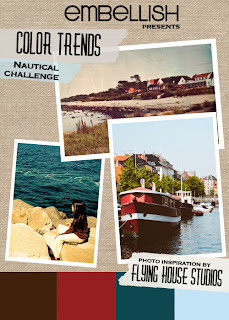 The images and colors of the Embellish inspiration board are more New England than Honolulu, but they're wonderful all the same! I started the card by embossing the background with my Tim Holtz woodgrain embossing folder. 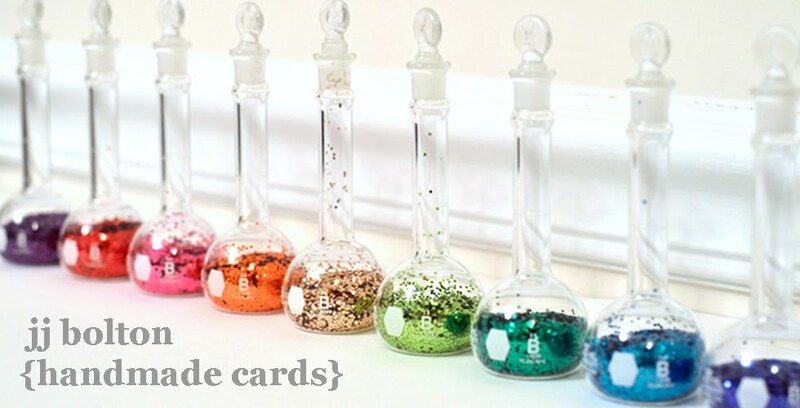 I cut windows into both the background and base card with 2 sizes of my round Nestie dies. The light blue backing (under the bow) is a piece of cardstock painted with acrylic paint and then sponged a bit with brown ink. For the boat stripes, I masked off lines and rubbed over deep blue and red ink. I love how they really mimic the lines on a real wooden boat. 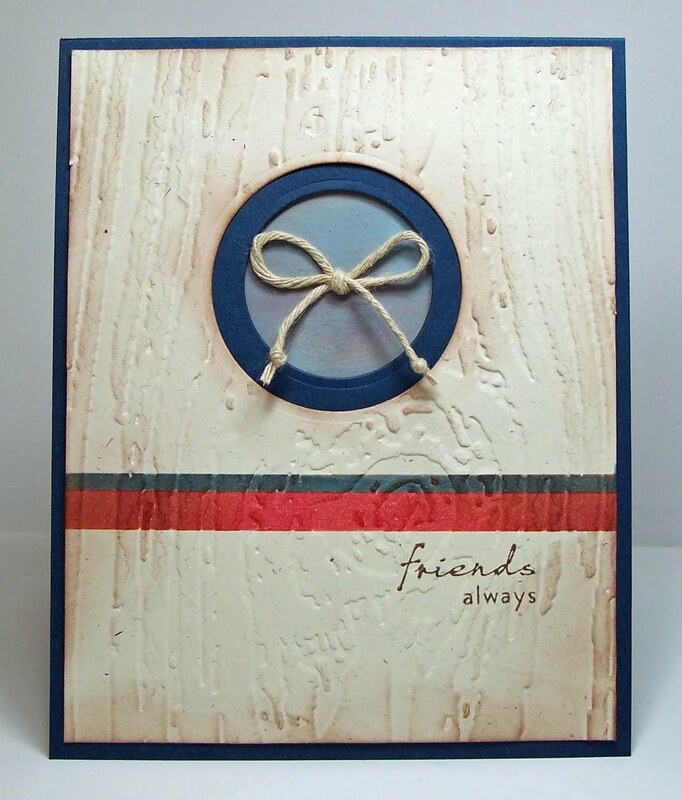 To get that weathered look and bring up the woodgrain, I sponged the entire card with a rich brown. Wow, wow, WOW! Look how awesome this is!! I really love the effect the rubbed ink has - it does look like painted lines. And just now I look over what you wrote & see 'doesn't hit you over the head with wow factor' - liar. It totally did. love how simple and stunning this card is, great job! Are you kidding? It hits me over the head! I ADORE the texture, and those stripes are awesome. I love hearing how you did them, too. Yay for masking! Thanks for joining us at Embellish. 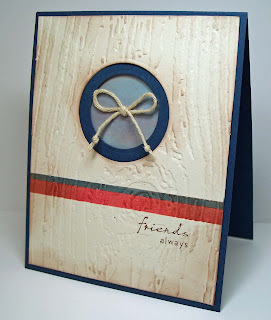 This is such a cool nautical card! Love that texture and stripes! And the window is perfect. Thanks also for your sweet comment!